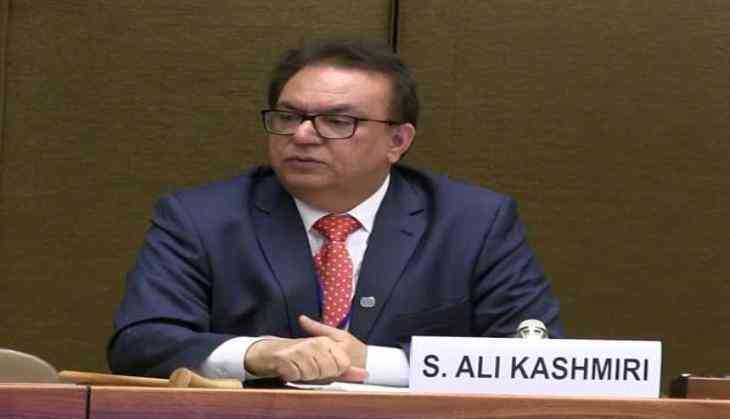 The exiled Chairman of United Kashmir People`s National Party (UKPNP), Sardar Shaukat Ali Kashmiri, has termed the Pakistan Supreme Court's verdict of disqualifying Prime Minister Nawaz Sharif as the worst judgement in the country's judicial history. "The date of 28th July 2017 is a black day in the judicial history of the world. The instant judgment will destabilize the democratic institutions and process in Pakistan, which are already weak .. and facing challenges as well as crisis," Kashmiri said. He said a verdict was announced without wisdom by the judges. "The instant judgment is fabricated as well as designed by the so called elite and feudal class in connivance with the military autocracy and civil bureaucracy, backed by religious Mullah forces who don't believe in democracy as well as rule of law in the country," Kashmiri said. He further said that the Supreme Court has been used as tool for removing an elected Prime Minister as well as replacing Article of 58(2B) of the Constitution of 1973. Kashmiri said this instant judgment will be remembered in global history as a judicial murder of democracy, democratic and constitutional processes, as well as rule of law and defeats the concept of respect for the people`s mandate. "Wisdom doesn't prevail in this judgment and it's blocked the democratic progress and economic development, it will promote religious violence, poverty and intolerance," he added. Kashmiri said this verdict by the apex court is replacement of ``Operation Midnight Jackal`` which was chalked out against Benazir Bhutto for removal through a no confidence motion.